I receive many calls daily regarding Snake problems. To me, understanding snakes is half the battle in living with them. Probably the first issue is determining if a snake is venomous. There are a few simple signs, and further in this article I’ll discuss and describe the most common central Florida Snakes. 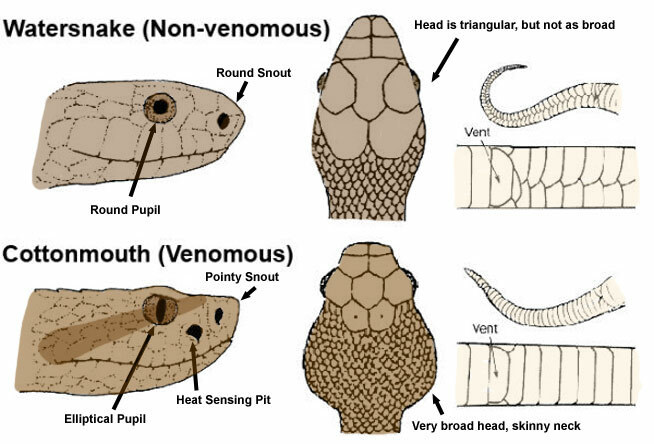 Two simple indicators of a venomous snake are the jaw and eye features. Venomous snakes eyes, generally have a pupil shaped like a slit, much like a cat’s eye. Non venomous snakes tend to have round pupils. 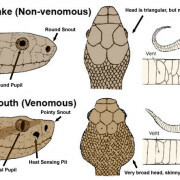 Secondly venomous snakes have a broad jaw line and a thin neck, while non venomous snakes tend to have a narrower head and jaw line. 1. 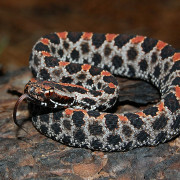 The Dusky Pygmy Rattlesnake. This snake makes a buzzing sound which is only audible when in close proximity to the snake. When in doubt, it’s best to move slowly in the direction from which you came and avoid the area. they feed predominantly on insects, lizards and mice, which makes them an asset when not in direct contact with humans. Unlike most other water snakes, the Cottonmouth swims with his head well above the water. This is a snake that is best left undisturbed, they tend to stand their ground and gape repeatedly exposing the white cottony interior of it’s mouth. Their venom is said to be more powerful than that of the Copperhead. They feed predominantly on fish, Frogs, rodents, birds and other snakes. 3. 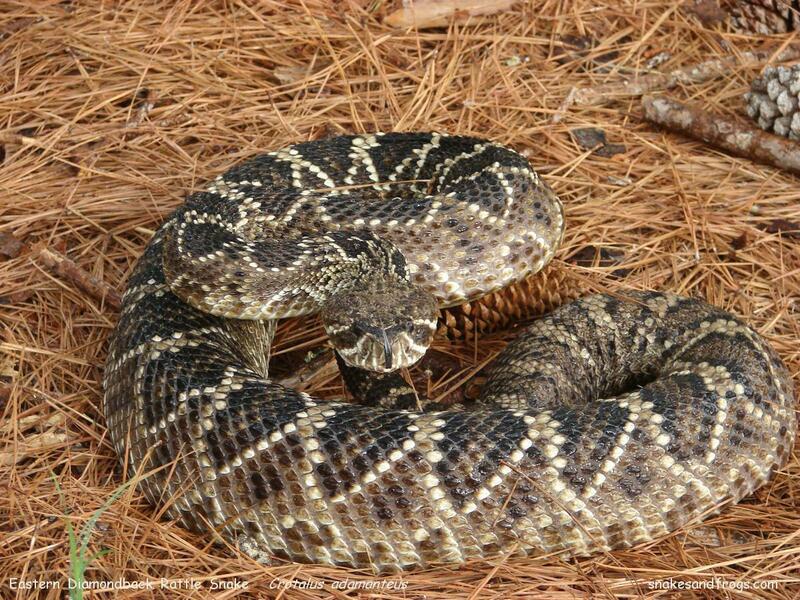 Eastern Diamondback. Most recognizable for the pattern of large dark diamond shapes along the back lined by white scales. They frequently occupy Gopher Tortoise Holes, Wood Piles, and dense patches of Palmetto. Their numbers have been greatly reduced due to land development and poaching. they feed on Their Diet consists of Rodents, rabbits, and squirrels. 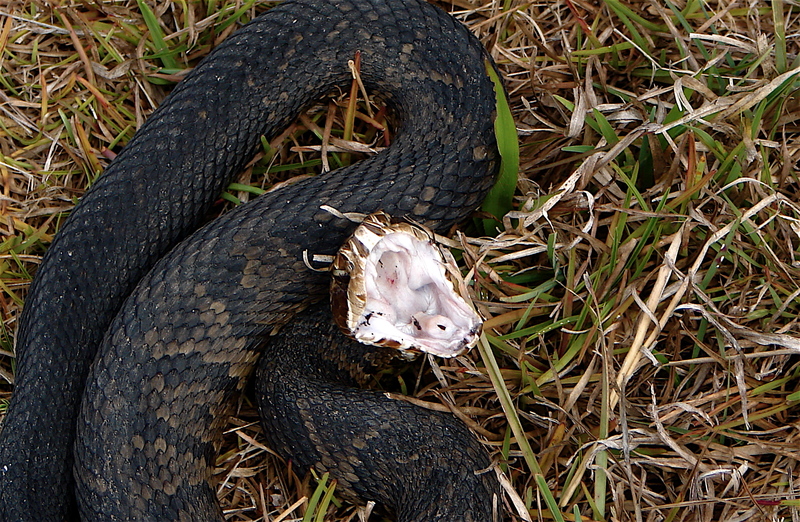 That covers the three most common venomous snakes in Central Florida. There are actually many more non venomous snake. The very common and harmless Black racer, resembles the Dusky Pygmy rattle snake as a juvenile, adults are solid black or dark slate gray. The Black Racer predominantly feeds on other snakes, lizards, and rodents. 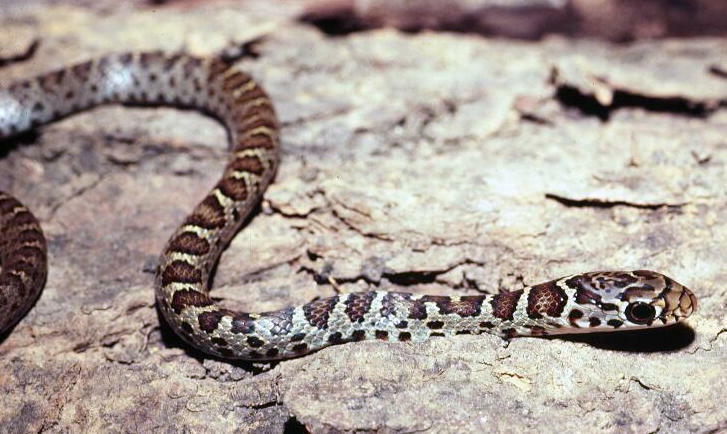 Other non venomous snakes are Common Garter Snakes, Corn Snakes, Eastern Rat Snakes, and Ring Neck Snakes. All species, venomous and non venomous offer the benefit of insect and rodent, and often control of other snakes. When in doubt we can help. Most importantly check conditions on your property that may be incentive for snakes to move in, unchecked rodent problems, wood piles, standing water under dry weather condition prevention is preferable to problem solving, be safe and call us for help if needed.